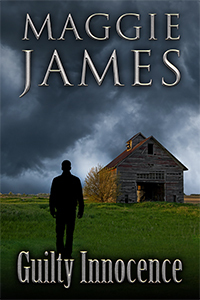 Today, I welcome author Maggie James to Into Another World. My name is Maggie James, and I’m a British writer of psychological suspense novels. Fiction is a relatively new venture for me, although I’ve always wanted to be a novelist. As a child, I never doubted I’d write books as an adult, but things didn’t turn out that way. The desire to write still nibbled at the back of my mind throughout the decades, although I didn’t do anything about it until I reached my forties. Then I began writing fan fiction, starting with a short 1,800-word story, which received good reviews. That gave me the confidence to carry on, and I wrote several more stories. The idea of writing a novel, though, seemed overwhelming. So what changed? Well, my fiftieth birthday appeared on the horizon. Such a milestone date; I couldn’t bear to pass it without having written the novel that had been burning inside me for so long. I had my epiphany in December 2010; by the end of February 2011, I’d drafted the first version of ‘His Kidnapper’s Shoes’. The moment when I typed the final word was highly emotional, and I’ll always remember it. What else about me? Well, unlike the characters in my novels, I rarely swear, and I loathe violence and confrontation. Travel has been a lifelong passion of mine and I’ve been lucky enough to indulge it extensively, with more trips planned. I adore food and everything to do with it; restaurants, cooking, browsing recipe books, etc. I’m into healthy living, although the characters in my books definitely aren’t! I am a yoga aficionado, doing four classes a week, and I’m a gym member. And I adore animals, especially cats! There’s a myth that writers pour themselves and their issues into their books, but it’s not true for everyone. Sure, some authors operate this way – Stephen King is a well-known example – but I definitely don’t. I’m a private person, and the idea of revealing snippets of myself via my novels is a complete no-no for me. My experiences? Well, my books are based in Bristol, so I draw on my knowledge of my home city. That’s the extent of it, though. None of the traumas to which I subject my characters has ever happened to me (for which I’m grateful!) My books express my desire to write; they’re not a catharsis. Beth Sutton is eighteen years old when Dominic Perdue abducts her. Held prisoner by him in a basement, she’s dependent upon him for food, clothes, her very existence. At first, she hates him, but as the months pass, her abhorrence changes to compassion. Beth never allows herself to forget, however, that Dominic has killed another woman. She has tangible evidence to prove it, not to mention Dominic’s own admission of murder. And discovers Dominic Perdue is not a man who lets go easily. Meanwhile, despite being reunited with her family, she spirals into despair. Release from her prison isn’t enough. Can Beth also break free from the clutches of Stockholm syndrome? A study of emotional dependency, ‘The Second Captive’ examines how love can assume strange guises. If all goes well, it should be on sale by the end of October 2014, and I’ll probably make it available for pre-order before then. The best thing? I’ve fulfilled my lifelong desire to be a novelist. Nothing beats creating a novel from the first glimmer of an idea through to a finished book. The sense of satisfaction that comes from shaping words into entertainment is immense. The worst? It’s hard to think of any downsides. Some people have strange ideas about writers, which means I get the occasional weird comment, but other than that, I can’t think of anything bad. It’s the best career in the world! Plot ideas can come from anywhere. The world is a cornucopia of possibilities, from conversations overheard in bars to events on the news. In turn, these spark questions such as ‘how would that feel?’ or ‘what if…’, generating dozens of potential plot ideas. I always have a notebook and pen on me to jot down possibilities. When the right idea strikes, I recognise it instantly. I get an unmistakable gut feeling, accompanied by huge excitement. My brain goes into overdrive, taking the raw idea and spinning it into a fully-fledged novel over the course of four to six weeks. I outline in a fair amount of detail before I begin. I can’t simply pitch into writing a book; I need to follow a pre-designed sequence for what will happen to my characters. That way I stay on track, avoiding the nightmare of complicated revisions later. As I’ve progressed in my writing career, my planning has become more detailed; as a result, editing is easier. For my first novel, ‘His Kidnapper’s Shoes’, I kept track of it via an Excel spreadsheet, with a tab for each character and a brief synopsis for each chapter. It wasn’t enough; I ended up with a 146,000-word first draft that needed severe pruning. Nowadays, I plot each chapter and scene in detail before I start. I firmly believe planning staves off the dreaded writer’s block. After all, if a novelist has extensive notes for what comes next, it’s not hard to write it. What inspired you to write Guilty Innocence? The inspiration for my third novel, ‘Guilty Innocence’, came from this question: what would it be like to discover somebody you love is concealing a criminal past? I don’t remember what sparked the original idea, but once I’d decided it had potential for a novel, I was hooked. I started with the character of Natalie Richards, asking myself: what’s the worst felony I can attribute to her boyfriend, Mark Slater? The answer: being a convicted child-killer. A crime that incites strong reactions, and I’m drawn to examining events with a fierce emotional charge. I went to Moretonhampstead, where some of the action takes place, taking photos and finding the field where Abby Morgan was murdered. I’m glad I did, because when I wrote the first draft, I’d not been to the town; instead, I based what I wrote on internet research. After my visit, I rewrote much of the relevant chapters; going there intensified everything in my mind, making it more vivid. I also consulted with a senior police officer, one with over thirty years’ experience. He gave invaluable help about the process of creating new identities for offenders. Not an easy task, because such details are kept from public knowledge due to the possibility of vigilante action. He was also helpful concerning the dialogue between Mark and the police officer handling his case. Without doubt, the murder of Abby Morgan. The brutal killing of a two-year-old girl is hard to contemplate for anyone who’s not a psychopath. Yet the story required me to include the circumstances of her death. What happened that day was pivotal in the lives of Mark Slater and Adam Campbell, the two individuals convicted of Abby’s murder. I needed to include her death, but do so in a way that isn’t graphic or hard to handle. That wasn’t easy. I can’t contemplate how anyone could harm a tiny child, so I had to dig deep to write the scene, and set aside my natural revulsion. No, it didn’t, despite the fact I planned the novel beforehand. Sometimes it goes that way – a plot can appear neatly sewn-up at the planning stage, but once an author starts writing, the characters pull him or her in a different direction. You realise certain things won’t work and that changes are necessary. That’s not a bad thing; it’s important to stay true to where the story and characters lead the writer. In the first draft of ‘Guilty Innocence’, Mark Slater kills Adam Campbell and goes to jail for his murder. When I came to edit the novel, that part didn’t gel with me. Mark, although he’s a tortured soul, isn’t a murderer; I needed to find a different way for him to resolve his issues. A murder that shocked the nation. Ten years after being convicted of the brutal killing of a toddler, Mark Slater, formerly Joshua Barker, is released on parole from prison. Only the other boy jointly sentenced for Abby Morgan’s murder, the twisted and violent Adam Campbell, knows the truth. That Mark played no part in Abby’s death. Four years later, Mark’s on-off girlfriend discovers a letter revealing his conviction as a child killer. At risk of having his protective cover made public, Mark’s need to confront the injustice of his sentence becomes overwhelming. Desperate to find answers, he initiates a friendship with Abby’s older sister, something strictly prohibited by the terms of his parole. Rachel Morgan, however, unaware of Mark’s former identity, is battling her own emotional demons. Meanwhile, circumstances have thrust Mark back in contact with Adam Campbell, who, aged twenty-five, is more domineering and chilling than ever. Can Mark rewrite history and confront his nemesis? A gritty novel examining child murder and dysfunctional families, Guilty Innocence tells of one man’s struggle to break free from his past. The first draft of her first novel, entitled His Kidnapper’s Shoes, was written whilst travelling in Bolivia. Maggie was inspired by an impending milestone birthday along with a healthy dose of annoyance at having procrastinated for so long in writing a novel. His Kidnapper’s Shoes was published in both paperback and e-book format in 2013, followed by her second novel, entitled Sister, Psychopath. Her third novel, Guilty Innocence, has now been published, and like her first two, features her home city of Bristol. She is currently editing her fourth novel, The Second Captive. You can find out more about Maggie on her website or check out her Facebook page, follow her on Twitter or visit her Goodreads page. You can purchase Guilty Innocence on Amazon. This entry was posted in Featured Authors & Book Excerpts and tagged ebook, Guilty Innocence, interview, Maggie James, suspense.